In 2009, President Obama nominated Melanne Verveer to be the first U.S. Ambassador for Global Women’s Issues. Ambassador Verveer worked with Secretary of State Hillary Clinton to coordinate foreign policy issues and activities relating to the political, economic, and social advancement of women, traveling to nearly 60 countries. Today, she is the Director of Georgetown University’s Institute for Women, Peace and Security, which focuses on the crucial role women play in peace-building and security. 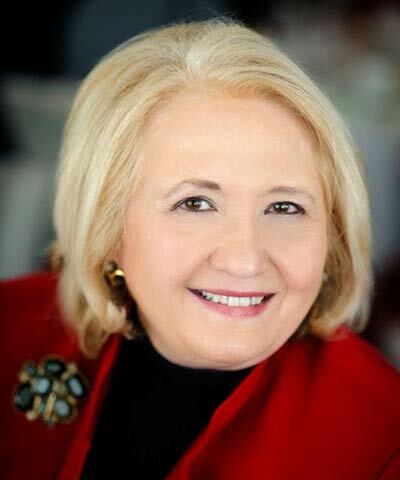 Ambassador Verveer is also the founding partner of Seneca Point Global, the global women strategy firm. She is the co-author of a forthcoming book, FAST FORWARD: How Women Can Achieve Power and Purpose. Prior to serving as ambassador, Verveer co-founded Vital Voices, the international NGO that invests in emerging women leaders, and served as the organization’s chair and CEO. Earlier, she was the Assistant to the President and Chief of Staff to the First Lady in the Clinton Administration.